Thurs, Nov 30th 4:30 p.m. to 8:45 p.m.
Join us for "Jingle in the Junction" on Thursday, November 30th. 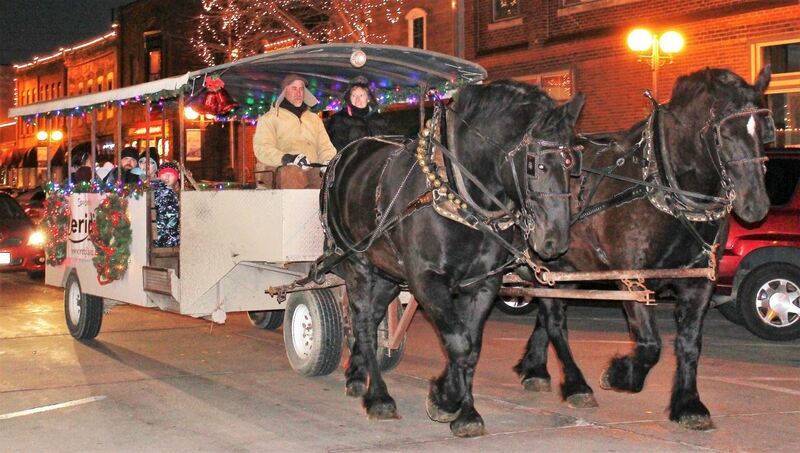 The businesses in Historic Valley Junction and the streets will be lined with over 150,000 twinkling lights. Along with your old favorites, such as FREE horse and trolley rides, Santa, and caroling, watch Bill Gordish carve beautiful ice sculptures and Professor Von Air create balloon magic! 4:30 p.m. Departure on an Arrow motor coach from the backlot of Seniors on the Move's office at 1245 8th St. in West Des Moines. 4:45 p.m. Arrive in Valley Junction to shop, browse, and take in all the festivities of "Jingle in the Junction". Enjoy dinner on your own at one of the many delightful restaurants in the Junction. 6:45 p.m. Board the motor coach for a tour of holiday lights, including a drive through Make-A-Wish's Jolly Holiday Lights in Altoona. 8:45 Estimated time of arrival back in West Des Moines.